A new product from the illustrator of Bird Bingo. Christine Berrie's colorful bird illustrations will inspire city dwellers to look out for their favorite species amid the urban bustle. 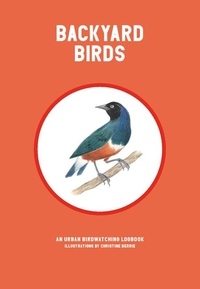 With fifty stickers provided, you can stick in the birds you have seen in your backyard or around town, and learn about them through interesting facts written by a leading ornithologist. Includes space for your own notes and observations.